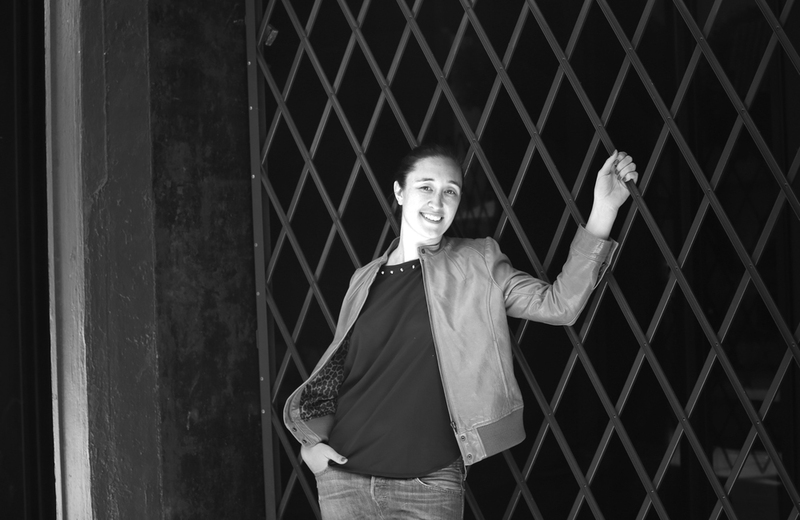 Michelle Byrnes has been on the San Francisco fashion scene for over a decade. As a child you could find her digging through sample boxes, or waiting in line at Esprit before she even knew what was hip. Growing up in San Francisco and watching the industry fade away has always been her fuel to be a contributor to it's resurgence, putting San Francisco back on the fashion map. Inspired by capsule wardrobes and the idea the clothing can adapt to its wearer’s needs and environment, the 7 piece convertible collection for women consists of an oversized bat-winged cowl dress, a three-quarter sleeved sweater, a dress-up, dress-down tunic, a color-blocked shift with a removable peplum, a pencil skirt that can change into an A-line skirt, a trouser pant, and a scarf that doubles as a hood. Drawing inspiration from iconic design classics and the mod period, Michelle Byrnes brings a sophisticated touch to convertible clothing, crossing boundaries between relaxed and urban, chic and comfortable, uniform and adaptable. Designed for women who are always on the move, the collection makes use of natural fabrics such as French Terry and Ponte that have the look of traditional womenswear fabrics, but function with much more comfort and suitability appropriate for active lifestyles.